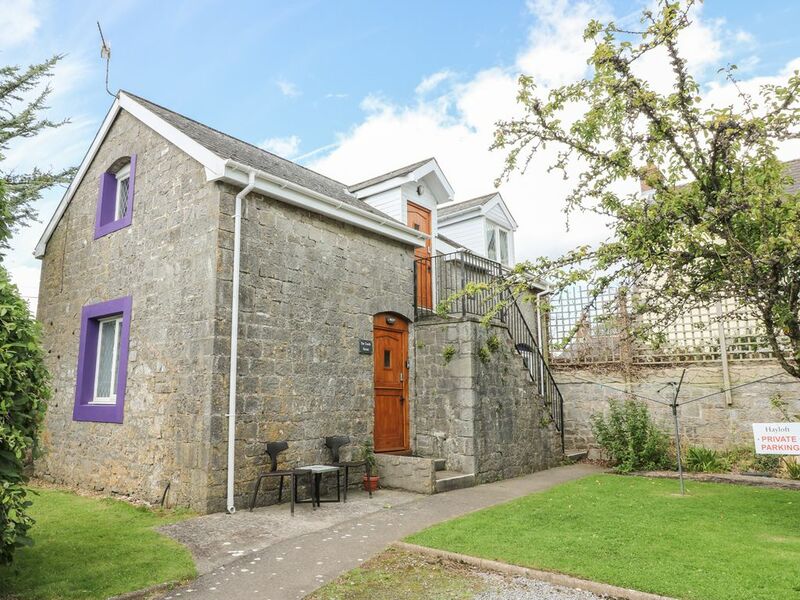 The Hayloft is a well-furnished, first floor apartment located near the village of St Florence near Tenby in Pembrokeshire. The cottage can sleep two people in one bedroom with en-suite facilities. The rest of the cottage is made up of a fitted kitchen and a sitting room with dining area. To the outside of the apartment is off road parking for one car and a lawned garden with a patio area to the front. The Coach House is a fantastic apartment in a beautiful part of Wales which can be enjoyed all year round. Amenities: Electric heating with electric fire. Electric oven and hob, microwave, fridge, washing machine, TV, DVD, WiFi. Fuel and power inc. in rent. Bed linen and towels inc. in rent. Off road parking for 1 car. Two well behaved dogs welcome. Sorry, no smoking. Shop and pub 8 mins walk. Note: The indoor heated swimming pool access is subject to a signed indemnity from the guests. Note: Adults only, no children or infants. Note: sauna requires £1 coins for use. Town: A picturesque village close to Tenby, St. Florence is an awarding-winning village in the heart of Pembrokeshire and plays host to a village shop and two pubs serving good food. There is a garden centre with a cafe and wonderful countryside walks. Just outside the village you will find the Manor House Wildlife Park, as seen on TV as the Welsh Zoo and owned and run by Anna Ryder Richardson. Across the road from the zoo is Heatherton Park with its 18 hole golf course. With the superb Pembrokeshire coastline less than five miles away, St. Florence is the perfect base for exploring the seaside resorts of Tenby and Saundersfoot. Stroll along the unspoilt beaches of Broad Haven and Barafundle, the pretty beach of Manorbier is less than three miles away. Explore the many historic castles peppered across Pembrokeshire or spend lazy afternoons strolling through countryside lanes. A superb base for exploring West Wales, all year round. All first floor. One bedroom: 1 x double with en-suite bath, shower over, basin and WC. Kitchen. Sitting room with dining area and electric fire. Shared use of indoor heated swimming pool and sauna. Electric heating with electric fire. Electric oven and hob, microwave, fridge, washing machine, TV, DVD, WiFi. Fuel and power inc. in rent. Bed linen and towels inc. in rent. Off road parking for 1 car. Two well behaved dogs welcome. Sorry, no smoking. Shop and pub 8 mins walk. Note: The indoor heated swimming pool access is subject to a signed indemnity from the guests. Note: Adults only, no children or infants. Note: sauna requires £1 coins for use.